We decided that a great way to help a lot of children that we support, would be to make something for their special people at the youth clubs we run in 6 locations around Norfolk, our NJ Clubs. 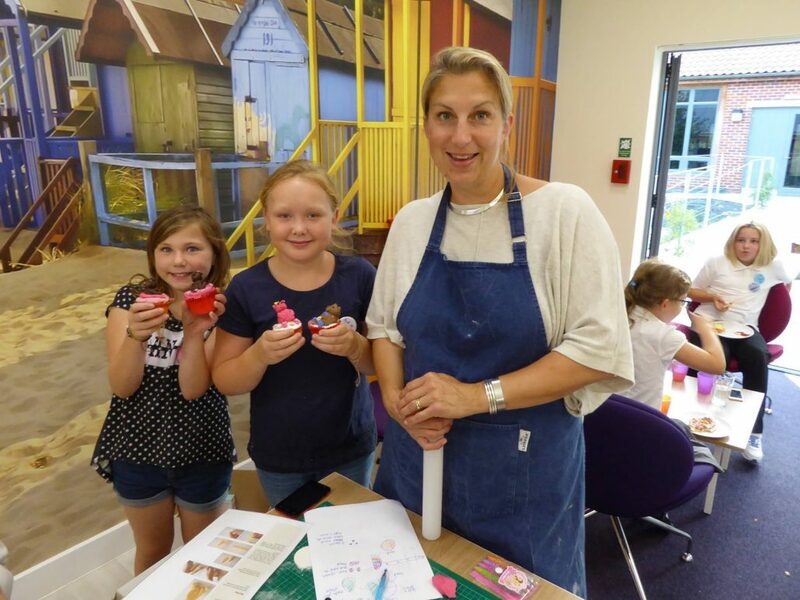 After a summer break, the first one was held in Norwich this Monday, with Emma in attendance to show the children how to make a bear for a special person to go on top of a cupcake. We always have a memory activity at our NJ Clubs, which allow children to come together and meet others who have experienced similar situations as themselves, have lots of fun and a bit of respite. It was fabulous to have Emma and Buns of Fun at the Norwich Club, and we will be rolling out the activity at the other 5 clubs around the county this half-term. We hope over 100 children will have made a special person bear for their cupcakes in the next few weeks! Thank you so much to Emma for her support, and to Safer Norfolk for funding the clubs which allow so many children to come and get away from it all, with us, every half term. TIP OF THE ICEBERG HOW DO YOU KNOW IF YOUR BEREAVED CHILD NEEDS SUPPORT?